– Automatically detects and records PAL (720 x 576 pixels) or NTSC (720 x 480 pixels). – Records video at 60 frames per second to give your video image quality a more live streaming look. – Also can record audio (mono only). – Very simple to operate. Just push the big button on its side to start or stop recording. – Includes case with clip for easily attaching the DVR just about anywhere. – Includes 2.4Ghz WiFi transmission and control capability. You can monitor the video stream live on up to 3 separate devices. Can also record and share video (30 fps only) or images directly to your phone. Uses the FXT DVR app available on Google Play here or iTunes app store here . – Can use wide range of power input from 7V to 28V (2S to 6S LiPo battery). – Although this records at 60 fps, the quality of the video is still limited by the relatively low resolution of analog video transmission. This is a technical limitation of analog video. Unfortunately transmitted video quality can't be improved much by simply using a "better" camera, as the transmitted video would still be reduced to NTSC/PAL resolution for analog transmission. 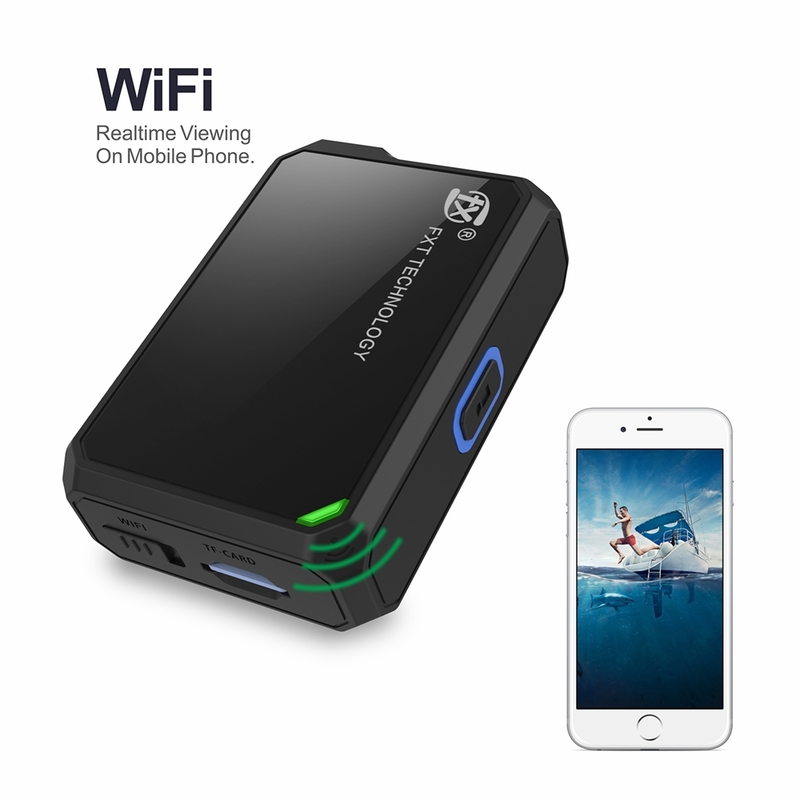 – Does not come with a power input plug or adapters to enable you to connect the DVR to a battery power source. I had to wire one up myself. Would strongly recommend that SZFXT consider doing such, and utilize common LiPo battery connector plugs (example: XT30). – Mine came with an AV cable with 3.5mm to 3.5mm plugs. Would also recommend that SXFXT also consider including 3.5mm to 2.5mm plugs (or adapters) so that the DVR could be directly connected to their popular FXT Viper goggles monitor. I needed this info. Thanks! Congratulations. You were the first to say First (and who had not already previously won). You win a shoutout in a future QC101 video. Again, congratulations! Yeah, $60 CDN is way out of line as the difference is negligable and it’s still lo-res at the end of the day. nicely done! still, IMO fxt shoulda just incorporated a 40band receiver into it. heck even raceband only recvr woulda been nice. This is one of the best reviews I have seen for this DVR recorder. I can tell the difference. I bet it would really shine on a good camera drone flight. Like your reviews. Biggest thing I noticed was brightness. Just getting into FPV so I don’t see what the big whoop (pun intended) here is. Maybe when I get better I’ll say Oh hell yeah. Hey Q101! – Suggestion for first 4 channel ( aileron ) trainer … with stabilisation? This came out about 4 years ago, But it’s still the best for beginners IMO https://www.youtube.com/watch?v=xHTgHpnK8kk I got plenty more reviews of it. Just search my channel for A600. Far to expensive for what it is also what’s the point?surely the video stream is for FPV flying , if you wish to record a beautiful panoramic vista you would use a drone equipped for the job, but nevertheless I like your honest reviews and you bringing us all the newly released products – good or bad, nice video as usual.